Your new movie Dead Walkers: Rise of the 4th Reich - in a few words, what is it about, and what can you tell us about your character in it? Dead Walkers: Rise of the 4th Reich is a Nazi spy thriller with a horrific twist, set at the end of World War 2. Scientists and the military elite escaped across borders and found themselves in new worlds. But there was another division� a forgotten group� a Top Secret group of men and women formed in the womb of the Nazi occult. Now, decades after the war, their work is nearing completion, and they are about to unleash their new horror, the 4th Reich, onto the world. The character I play, is one of the Nazis. How did you first get hooked up with the project, and what were your first thoughts when hearing the title "Dead Walkers: Rise of the 4th Reich"? I was having a look around some casting websites, when I spotted an advertisement asking for cast members for a new feature film. I loved the name Dead Walkers: Rise of the 4th Reich, and was immediately intrigued to find out more about it. I sent off an application (not really even expecting to get a reply), and amazingly, I got a reply within 24 hours, inviting me to come along. From what I've read, your time in the Royal Navy came in pretty handy not only portraying your character but also behind the scenes. Care to elaborate? Certainly. When I arrived on set, Philip Gardiner (the director) [Philip Gardiner interview - click here], desperately needed to shoot a scene that showed all of the actors marching together. Unfortunately, nobody had had any military training at all, so I immediately offered my services to train them all up to a convincing standard that would look good on camera. 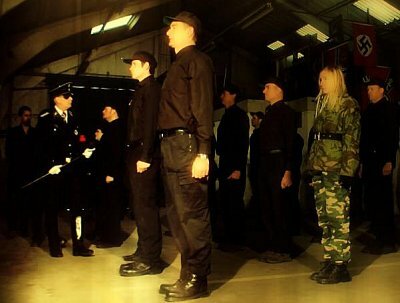 I taught them all the basics, and had them all up to relatively decent standard, when 2 more actors turned up who also had had military training, and between the 3 of us, we managed to get all of the actors up to such a good standard in 2 hours, that would have taken literally months to teach them all in a proper military environment. You also helped choreographing the fight and torture scenes in Dead Walkers: Rise of the 4th Reich, right? So what can you tell us about those? There was a huge fight scene in a large room, and Phil wanted everybody to split up into separate groups and to come up with totally different, and original scenarios to make the scene totally fascinating and shocking. I won�t tell you how the scene actually played out - you will have to watch the movie yourself for all to be revealed. There were a few problems filming some of the torture scenes, and my input was taken onboard and used to complete those scenes too. What can you tell us about Dead Walkers: Rise of the 4th Reich's director Philip Gardiner [Philip Gardiner interview - click here], and what was your collaboration like? Let me tell you, Philip Gardiner is one of the most professional, dedicated, and creative people I have ever met. The guy is an absolute genius. He knows his art inside and out, and I trust his judgement implicitly. One thing I really like about him is that he is a genuinely nice guy; he always listens to what you have to say; he is always there to give you guidance, support, and the benefit of his considerable experience; and he never comes across as the big �I am�. He is always approachable, and a very good friend. My God, it was cold!!! It was shot in the depths of winter in a disused, derelict warehouse that had no heat, electricity, gas, or running water. You can just imagine what the �toilet situation� was like, having no water!! The cold bit through us all like a knife, and made filming practically impossible. Our noses, ears, fingers and toes were all bright red, and then turned blue with cold� but the visible breath did make for atmospheric film scenes. Despite all of this, the atmosphere amongst the actors was just incredible. In true British fashion, we all pulled together and kept each other warm with laughter, stories, jokes, and by all of us repeatedly singing a daft song we�d made up between us, about a family of sharks, of all things!! If there ever was a Dead Walkers II: Let's Raise the 5th Reich in a Freezer, would you be on board? Like a shot. What people need to understand, is that our group of actors is like a very closed-knit family. We are all from the same talent agency www.awesometalentagency.com and we have all worked together many times before on many different projects, therefore we all know and trust each other implicitly. That kind of bond is incredibly rare in this business, and in fact, is practically unheard of. So yes, if Phil asked me to do a Dead Walkers 2, I would definitely be on board, without a moment�s hesitation. You're also in Philip Gardiner's upcoming documentary Exorcism of Evil, right? So what can you tell us about that one and your involvement in it? Exorcism of Evil is a documentary for American television. It is based on actual, documented cases of real-life possessions, and the processes involved in exorcising those demons from the possessed individuals involved. I play one of the priests/exorcists. Your Dead Walkers: Rise of the 4th Reich-co-star Kay Vardy's [Kay Vardy interview - click here] Endgray Manor - you also have to talk about that one and your character in it! Endgray Manor is a film written, produced by, and starring Kay Vardy. She very kindly offered me a role in it, and I certainly was not going to turn it down. As I said in a previous question, we are all friends, and will do anything to help each other out; plus, it is fabulously written and has a great script, so that is why I agreed to do it. Endgray Manor is a very dark and mysterious film about the sinister goings-on in an �all-girls� borstal-type institution. In the film, I play the part of a teacher at the Manor. I have a few other projects in the pipeline too. I have been cast as a lead role in the forthcoming horror/shocker movie Succubi. That begins filming within the next few weeks, and a superb international cast has been assembled for that one. I have also been cast as a lead role in a forthcoming supernatural Logan Blackwood movie; and I have also been cast in the new movie Dusty the Demon Hunter, by the best-selling author D Michelle Gent [Michelle Gent interview - click here]. I first got interested in acting when I was at school, because they used to run �after hours� classes that I used to attend regularly. I was bitten by the acting bug, and joined a proper drama school/academy to gain sufficient knowledge and experience to secure better and more challenging roles for myself. As far as I know, you have started out as a stage actor - so what can you tell us about your experience in the theatre, and how does performing on stage compare to acting in front of a camera? I did a few stage plays as part of my time at drama school, but I have also appeared in Pantomime in Jack and the Beanstalk and Cinderella. 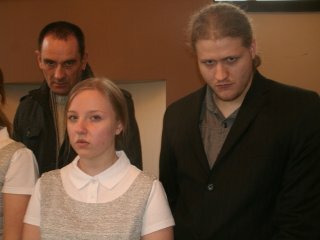 I have also appeared on stage in a play called Crossing The Line where I played the part of Neptune. Stage is dramatically different from acting in front of a camera. On stage, you�ve got to get it right first time, every time, simply because it�s live. You can cover up a few mistakes� but if you make too many, it quickly descends into chaos; whereas on camera, if you make a mistake� hey, no problem, you just do it again !! What can you tell us about your film and TV experiences prior to Dead Walkers: Rise of the 4th Reich? 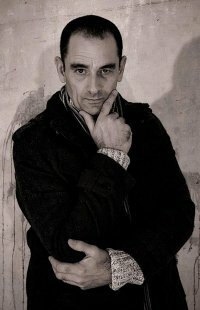 I have appeared on several TV shows in the past for the BBC, SkyBSB, Yorkshire Television, and Central Television. I have also filmed a pilot TV episode, also for Central Television. 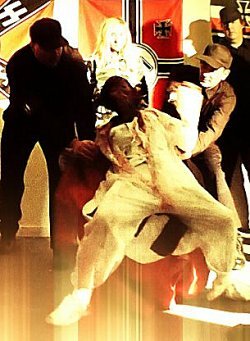 Dead Walkers: Rise of the 4th Reich was my first movie role, and since then, roles have been coming thick and fast. How would you describe yourself as an actor, and what do you draw upon to bring your characters to life? I would describe myself as an actor who strives for perfection. I want to look at the end result and feel proud that everything went according to plan. To bring my characters to life, I draw upon my real-life experiences, and really throw myself into the role with a passion. I also study actors such as Jack Nicholson, Morgan Freeman, and Tom Hanks etc, to understand how they portray their roles, and then try to work their influence and experience into my roles. Oh sorry, I think I�ve just named a few in my previous answer!! The actresses who inspire me are Dame Maggie Smith, Dame Helen Mirren, and Dame Judi Dench. All fabulous, talented actresses. Your favourite movies, and of course, films you really deplore? My favourite film of all time is The Shining with Jack Nicholson, closely followed by Paint Your Wagon with Lee Marvin and Clint Eastwood. There really isn�t a film that I don�t like. Every film has a market somewhere !! You can also �google� me. If you do decide to go onto my actors� page, if you could �like� and �share� it please, I would really appreciate it.